We love Italian food here at home. 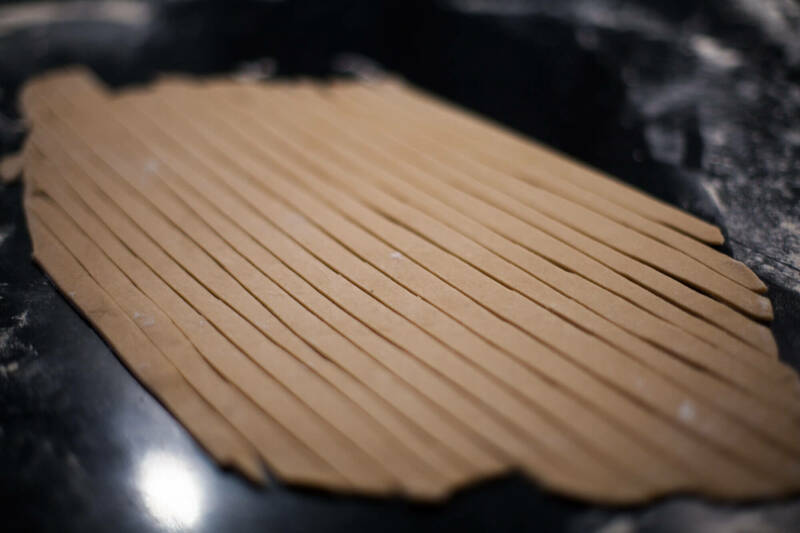 Unfortunately pasta is not the most healthy food around, because it is made by finely ground wheat flour, so I have experimented with making my own pasta from hvidhvede and that is delicious. 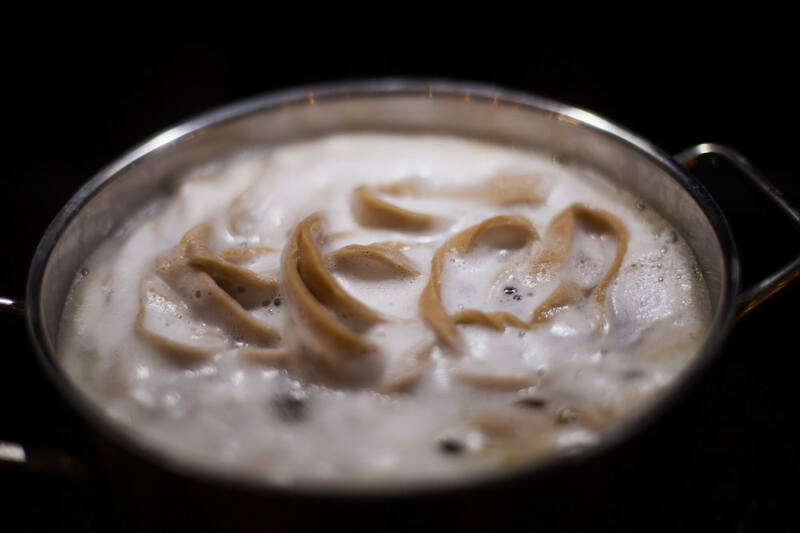 It does require a bit more egg compared to the common pasta dough recipe, which uses about 1 egg per 100 grams of flour. 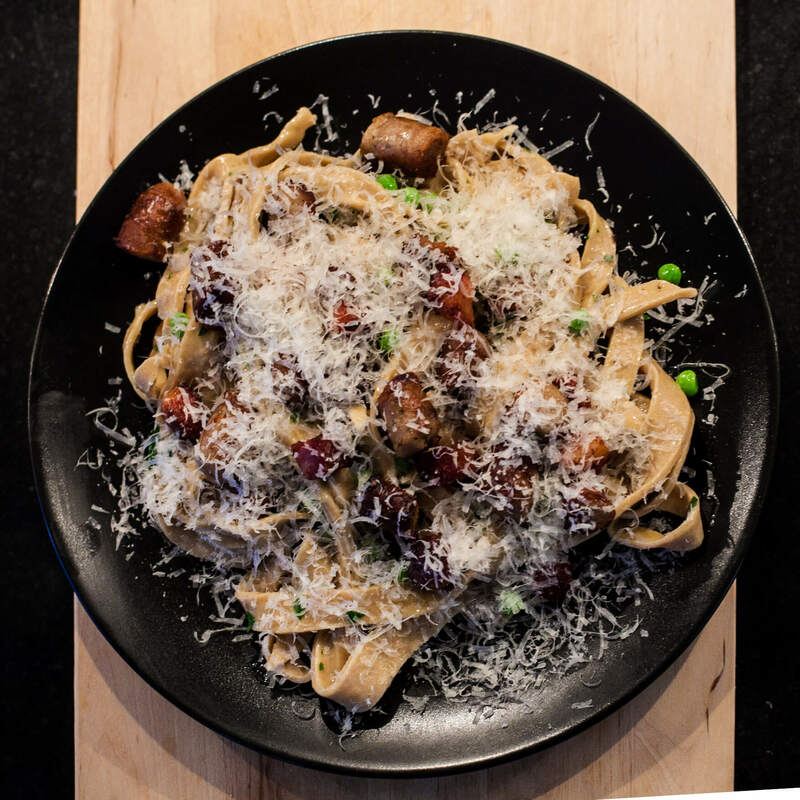 So here is my version of a healthier sausage carbonara with homemade whole wheat fettuccine. The cream has been replaced with low-fat cooking cream, so it contains less fat, but it is still as creamy. Yummy. 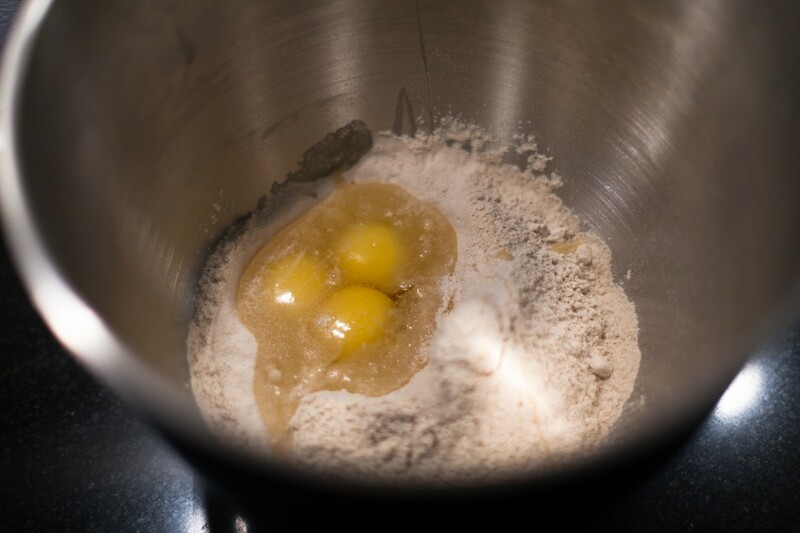 Mix egg, a pinch of salt and hvidhvede flour to a dough and knead it thoroughly. Divide the dough into 4 equally sized pieces. 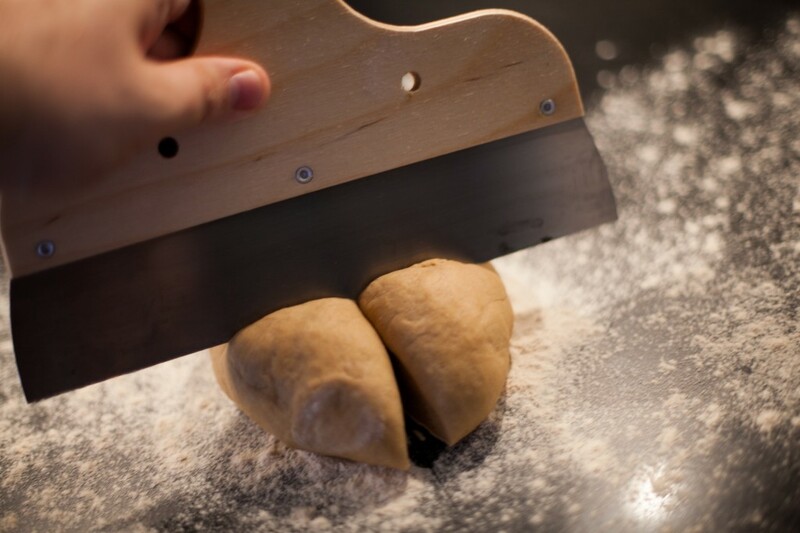 Roll the dough pieces out very thinly and cut it in about ½ cm wide pieces. It is important you roll the dough as thinly as absolutely possible. 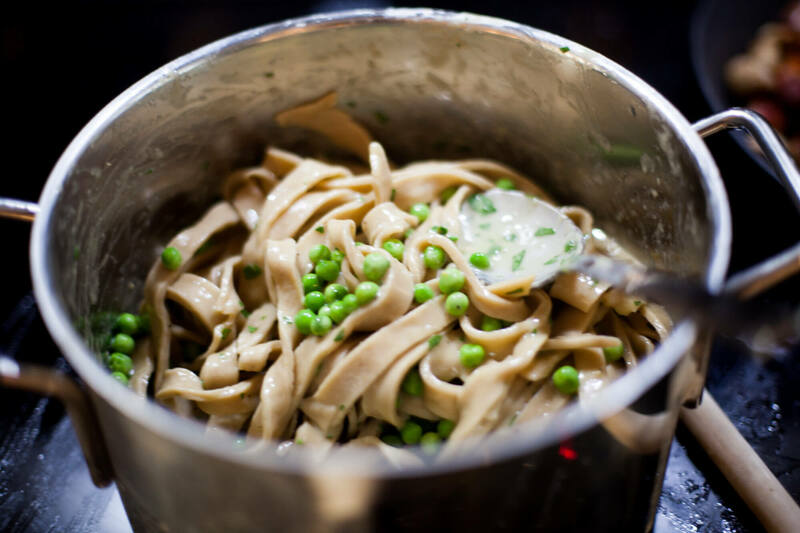 If you have a pasta machine, now is the time to bring it out. 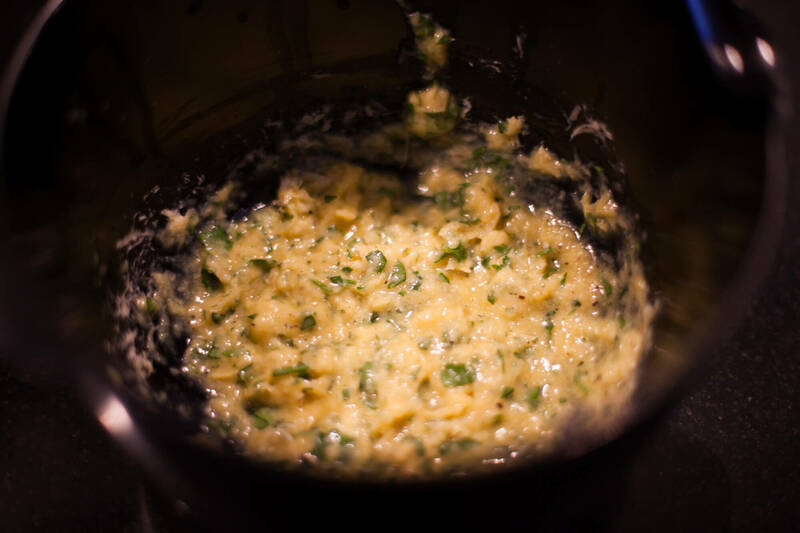 Mix the egg yolks, salt, freshly ground pepper, cream, chopped parsley and about half of the cheese. Put to the side for later. Slice the sausages into pieces about 2 cm wide. 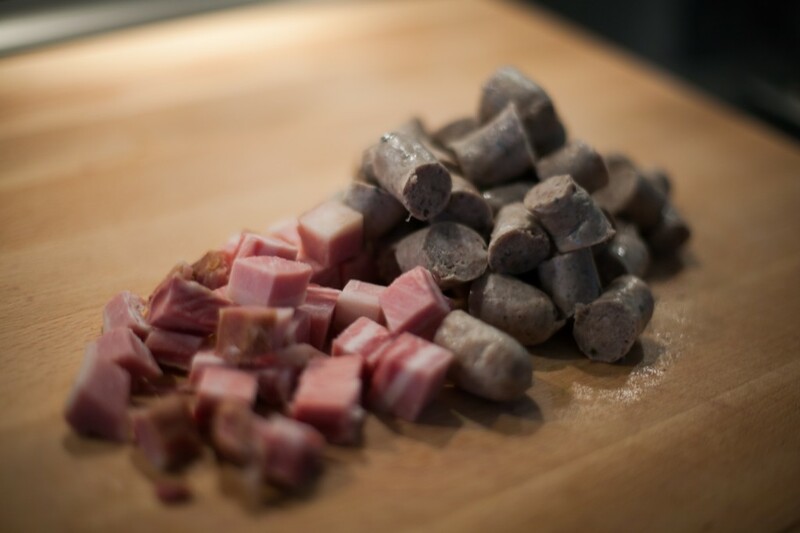 If you are using a whole bacon, cut into cubes about 1 cm x 1 cm. 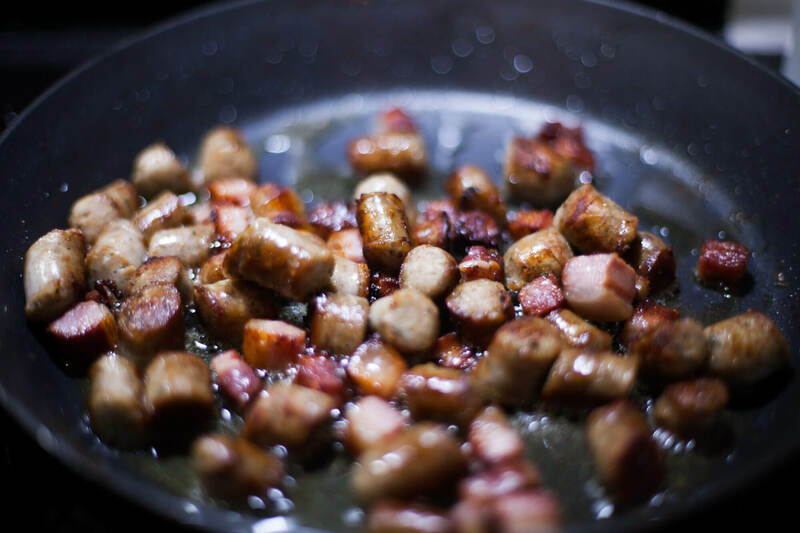 Warm a frying pan to a middle heat and brown the sausages and the bacon. Fill a pot about ¾ and salt it. Turn the heat up all the way. 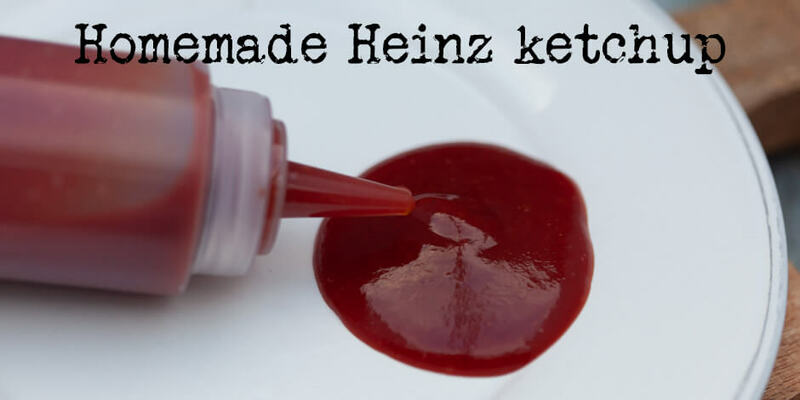 When the water is boiling, put in the pasta and cook the pasta 3-4 minutes until the pasta is done..
Pour the water from the pasta and pour the egg mixture into the pot and mix well. Add peas. Divide the pasta onto four plates and top it off with the sausages and bacon mix. Divide the remaining cheese over the pasta and server immediately. 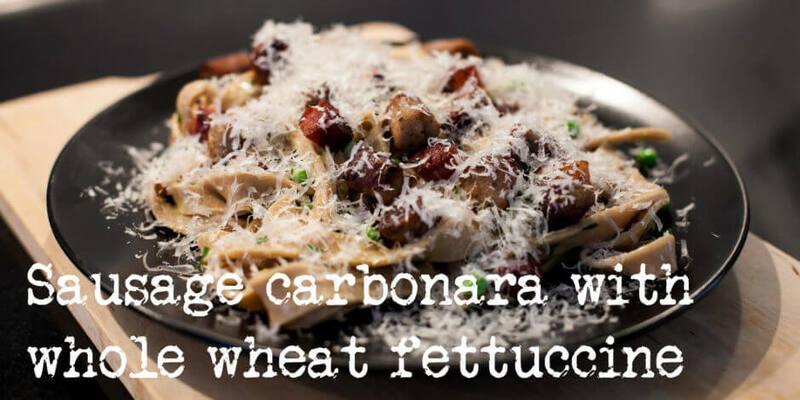 This is my version of a sausages carbonara with homemade whole wheat pasta. Enjoy.